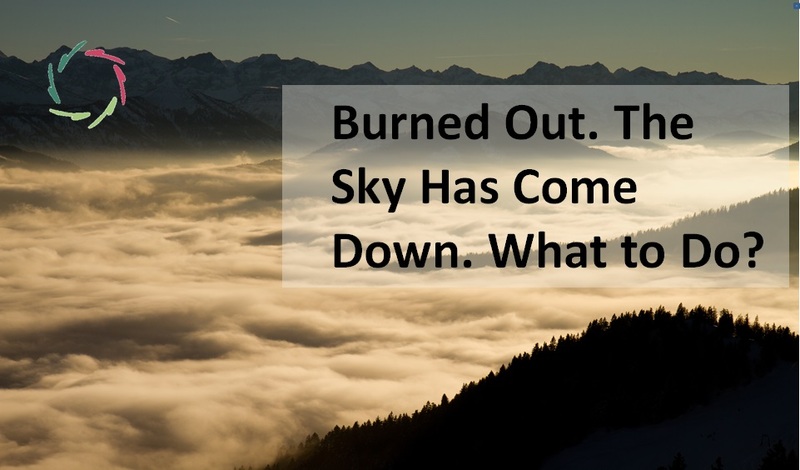 People who are prone to burn out are often people who have the gift of love to a huge degree. Yet they forget to let their love pass through their own funnel. They look to the outside, to where their love flows. They see little of their own inside and what this act of loving means to them personally. Love and deeply positive meaningfulness lie close to each other. Someone you love is someone who means much to you in a deep and positive way. If you are for instance a manager and your job has deep and positive meaning to you, then you love your job. That is of course a great thing and also great to accomplish in others. Yet there is a definite risk involved. You should take care. You are close to the core of your personal being, close to ‘soul’ if you want to put it that way. Close to ‘fire’. 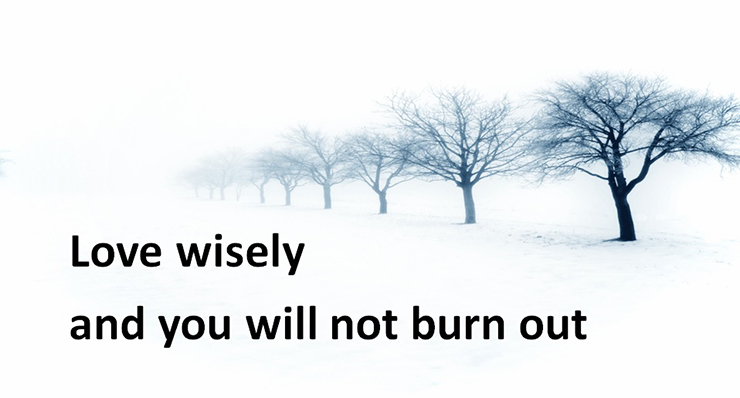 The risk of fire is that it burns in more ways and at a higher intensity than it is supposed to do. In order to have a nice fire, you have to contain it, one way or the other. This is not rocket science. It is an art. It is wisdom. Rocket science may be its consequence. The wisdom is more valuable. So how do you attain this wisdom? By doing things that bring you closer to yourself. This may be anything. Physical exercise, feeling your body work out for you. Being close to nature, feeling how you too are part of nature. Being close to other people, feeling how you can make a personal difference to their own lives and relatives, and through this, feeling that they also care for you. Doing small things for others now and then, feeling their gratitude directly, meaningfully. Giving some time to yourself, and I mean absolutely positively to yourself. YOU. Whatever you most like to do. ANYTHING. Do you absolutely like to work? Then do that. Do you absolutely like to do something else? Then do that. 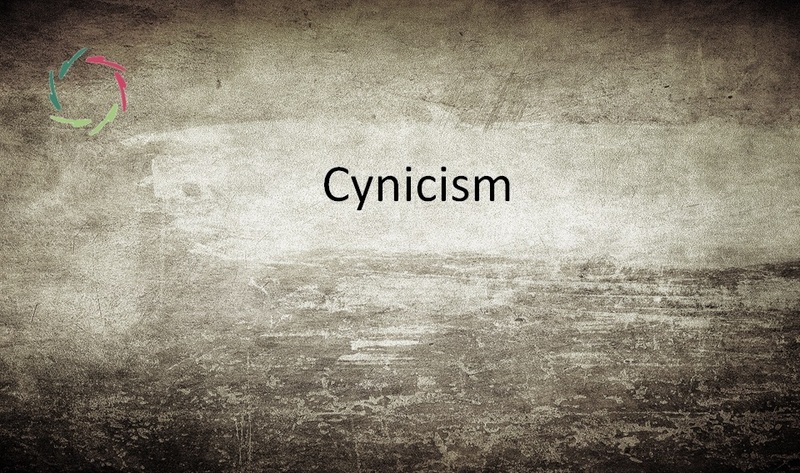 Even if you do some work – again – then do that because you absolutely like to do so. Try to be certain in this. Absolute certainty is of course never attained. You should at least try. Doing something because you like it or because you need to do it, are two very different things. But the exercise is not yet finished. In whatever you are doing because you absolutely like to do so, try to find the real you. This is the one who could go on doing this for a long time. It is the real you who feels very close. Try to feel this closeness to yourself now as good as you can. You could turn yourself inside out and find your deeper self within this situation that in reality is present outside of you. It is not as if the joy resides inside you but rather as if you are present somehow inside happiness. At that moment, you are loving yourself in a wise way. The energy that you expend, is flowing right through you. Thus you are not losing this energy. You are surfing upon it. Wherever it goes, you are present. You are not giving away. You are receiving. Of course, don’t frustrate yourself if you don’t have this feeling. It’s always OK. The main point is that you actually do this for yourself, that you try it and go for it. Each time that you do your best in this direction acts like an invitation towards the deeper layers of who you are. The invitation is to accomplish it better and better every time. With patience, you will find the right sources of your energy, your deeper motivation. A past or present episode of burnout can help in this to a huge degree if you don’t fight it aggressively, but let yourself flow and grow. The energy is inside. 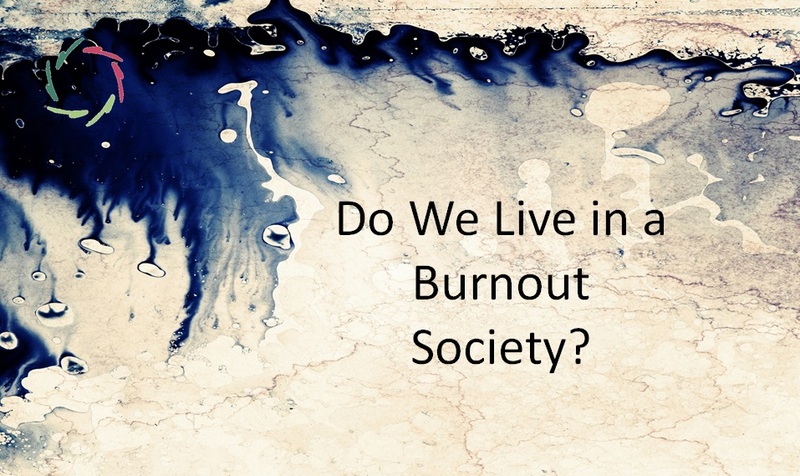 Are we living in a ‘burnout society’?